I’m building a basswood bridge for a school project, and I just wanted to say that this site has helped me so much. The information on different types of glue, differents kinds of joints, and the different kinds of truss bridges has been extremely helpful to me. Thank you very much. I see that hot glue from a gun is not mentioned. Why not? It seems to be strong enough and like CA sets immediately. Any down side? although hot glue is good an all, it does not have very much rigidity. Because it is just plastic, it does not stick to the wood all that well. and when you put weight on it, the glue will slowly but surely deform and your whole brigde will sag until it finally collapses. If you’re using hot glue to make a bridge for science olympiad, then it’ll weigh too much. I learned that it’s really strong, so if you don’t care about weight- GO FOR IT!!! I use Gorllia glue. Is that okay? What about gorrila glue? I heard it’s the strongest Wood Glue on earth… Why doesnt wood glue work good on popsicle and other wood bridges? Gorrilla glue is great stuff. It requires that you put water on the wood prior to applying the glue. It will foam and expand to 4X the volume of glue applied. It is very light weight. You will need to clamp the pieces together or they will be forced appart by the foam. If you use gorilla glue, you’re going to have to start over. It will foam up and cause your bridge to flex and bend. It will hold almost nothing. DON’T USE IT! Elmer’s carpenters wood glue works great for elevated bridge and The wright stuff! Can someone explain how to glue the pieces of wood together? When we glue them together they glue to the surface which we are glueing on. We can not think of how to overcome this obstacle? Thanks for any help. I’m doing Science Olympiad also this year. I’ve done tower for the past few years but they’ve done away with it (sad, I know). I’m not on elevated bridge this year because they really needed my plane-building expertise for “Wright Stuff” (Good title, I know). I’m thirteen and just wanted to let you know that this site is very helpful. I showed it to my budy, Ansur, who is doing the bridge event. Duco cement — Available in some hardware stores. Dries clear and faster than Ambroid. Testors wood glue — very fast drying. Thank you Walter for your input. Used to build model aeroplanes back in the ’60’s (Comet Model Hobbycraft kits mostly) and ran across this website. Was wondering if the old glues we used then were still the best and considering the fact I’ve had experience with them anyway will probably stick with them (pardon the pun) for the F4D Skyray I built in Oct’61. Found the plans & patterns on the web. This oughta be good. Hi, i am a 13 year old kid who does science olympidad like you did. I LOVE it. I am on elevated bridge and have found this sight to be very helpful. My last bridge weghed 18g and failed at 3kilos =(. My next one which i am confident in will weigh about 10g and i think it will hold. I think its great that you put up this sight its been somewhat helpful. I would just like to point out that some CA glues need an acivator in order for the gule to cure fully. 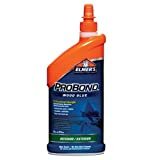 The one i do does and it will hold without it but i just wanted to say that it is important to check if the glue requires an acitivator in order for it to work before you buy it. 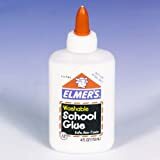 It would be a real bummer to buy 30 dollar glue and have it not work. That is interesting, Max. I knew that you could use accelerator for CA glue, but was not aware that some CA glues require some sort of activator. Do you know the names of the brands that need one? Oh… Well, thank you anyway for taking time to respond to my question :). What glue would you recommend for balsa wood? Thanks SO much. What about loctite superglue? For balsa wood? Jennifer, I have not had any experience with Loctite super glue, so I cannot speak as to its properties. I tend to use a hot glue gun for my model. It isn’t very light, but you don’t need much and it is very strong. I used balsa wood. I love using just regular wood glue for building a bridge. It is so easy to use and it doesn’t add a lot of weight to your bridge if you know how to use it correctly. It is made for wood so why wouldn’t you use it? That is what I would recommend for anyone who is or wanting to build a model bridge. Hey garrett boon. I was wondering if you could answer a few questions for me. Okay here it goes… 1) When building a bridge , does the type of glue used effect the outcome of the bridge, the amount of time given to let the glue bond with the wood, both, or neither? 2) Since a warren truss bridge’s design is basically zig-zags, does the zig-zag design help distribute the amount of pressure put on the bridge when weight is applied or does the design have a different purpose? Why or why not? 3) Why is it so important that when building a bridge that each side should be as symetrical as possible? 4) When building a bridge, why does connecting to ends of wood with accurate angles, instead of regular flat ends, help the bridge withstand more pressure? 5) Does every bridge have weak points? If so, why? 6) Does the weight of the wood used in building a bridge affect the amount of pressure the bridge can withstand or is it just the design you use? 7) What is the best design for a bridge if the goal is to hold as much weight as possible but the bridge is to weigh no more than 16 grams? Please answer these questions ASAP. Thanks for your help. Arianna, here are the answers to your questions. 1. Yes, both affect the bridge. Some glues are stronger than others. If you test your bridge without letting the glue dry properly, then obviously it won’t hold as much as it could have. Usually 24 hours is enough time for any glue to completely cure. 2. It is correct that a Warren truss looks like a bunch of zig-zags. But what makes the Warren truss strong is simply the fact that it is composed of triangles. The triangle is the strongest shape to use on a model bridge. 3. There is a difficult concept behind this answer. Part of it is related to the actual construction. If your bridge is not symmetrical, then probably the overall construction of bridge is not the best. A symmetrical bridge also has a greater capacity to distribute the weight throughout the bridge. 4. I think you are talking about mitered joints. The reason a mitered joint is stronger than a regular end joint is simply the added surface area for the glue. However, an even stronger joint to use a lap joint. 5. Every bridge will break eventually if enough force is applied. Most bridges do have weak points, but those weak points are engineered to be so strong that they will not break under normal circumstances? 6. The weight of the wood is not directly related to the strength of the bridge. Instead, the density and stiffness of the wood are more important. 7. Your best bet is to use all of your allocated 16 grams. I can’t tell you the best design to use, because that is usually a matter of debate. Use a standard truss as they are very solid designs. Hey Garrett,I want to build truss bridge with glue and toothpicks.otherwise,the bridge must have a mass less than 50 grams but 30 cm long ,4 cm wide and 5 cm hight,at least.what I gonna do?which kind of glue should I use, CA glue or weldbond ?By the way,the bridge must hold the weight about 400 times compare with its mass.What I gonna do,should I build a truss bridge,Kingpost,queenpost or X-Herrn bridge? Christopher, my expertise is not in toothpick bridges. But I would recommend CA glue over Weldbond for a toothpick bridge. Hey Garrett, I tried using Weldbond but because of its slow setting time, I want to try using CA glue. Would you recommend just regular Super Glue or Super Glue Gel? The “minimizing weight while gluing” article in additional resources said to use the “thin stuff” but I don’t know whether to use the regular (liquid) one or the no-drip gel one because even though it says that wood works best with the gel, it might not be the best choice. You can get it at Michaels for about 3-4 dollars. Its really good. It has a light blue cap and it’s called Gorilla Glue. It does miracles on wood bridges. Also it’s strong and lightweight. Go ahead and try it! I’m using Gorilla glue and it seems to be the best wood glue I’ve found – goes tacky dry in about 40 minutes and sets hard in 8-10 hours depending on the gap. But you can continue working if you’ve got enough clamps and rubber bands. PVA based glues don’t like big gaps. Pull everything tight-ish and things work out well. and width of the bridge must be 11 to 12 cm at the base but there is no limit at the top. First Timer, thank you for your comment. What do you mean when you say the glue had not bonded after 4 hours. By that time the glue should have “set”. That means the glue will be starting to get hard but it will not be full strength yet. Krazy glue is the only glue you mentioned that will have cured in a very short time. The others take 24 hours to reach full strength. I would caution against combining glues. Sometimes the chemicals in different glues could create a very harmful mixture.